Allows computer artists to use and build their own filters. 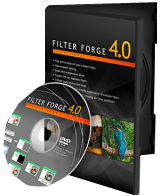 Filter Forge 4 Pro was available as a giveaway on April 6, 2016! Please note: the program comes with tech support! Please note: a User with the best improvement idea will get Filter Forge 5.0 Professional + Filter Library Backup and Librarian as a prize! Please use IdeaInformer widget! How would you improve Filter Forge 4 Pro? A quick suggestion to the developers, the program would benefit from including GPU acceleration with the multiple CPU cores. TK, thank you, but alas the GPU is not compatible in any way with Filter Forge internal structure. (I may say nonsense now, the techs could not explain me better.) But anyhow it is true: Filter Forge would cease to be Filter Forge if we include GPU acceleration. Just missed it. Never heard of this program before, might have been fun to try it out. Oh well - since I never, ever use trial versions of anything, will just have to hope that this goes back up on GAOTD one day. I downloaded Filter Forge in the final hour of yesterday's giveaway and waited anxiously for the registration key. I got it in the nick of time. My goodness, what a beautiful piece of software, with all those fantastic free filters. Endless fun. One of the best programs I've ever found on GotD, if not the best. Thank you so very much. I downloaded Filter Forge in the final hour of yesterday's giveaway and waited anxiously for the registration key. I got it in the nick of time. My goodness, what a beautiful piece of software, with all those fantastic free filters. Endless fun. One of the best programs I've ever found on GotD, if not <i>the</i> best. Thank you so very much. THANK YOU for the interest in Filter Forge! We really appreciate so many feedbacks from you, both good and sad. We've already sent about 6000 keys and there are 500 more waiting to be sent. We had 100 keys result in error (someone may have misspelled their email addesses) and 200 keys which are delayed (a recieving server is temporary unavailable or smth like). As for some restriction lines in the Readme file, again, we HAVE free tech support and FF CAN be used commercially. Again, thank you all for the interest in Filter Forge, we're so glad to see all you in our community! Hi guys and girls, I've had a talk with our techs and bosses and here's what I should tell you: THANK YOU for the interest in Filter Forge! We really appreciate so many feedbacks from you, both good and sad. We've already sent about 6000 keys and there are 500 more waiting to be sent. We had 100 keys result in error (someone may have misspelled their email addesses) and 200 keys which are delayed (a recieving server is temporary unavailable or smth like). ANYWAY everyone who requested the keys on April 6 WILL get them. Just wait for one more day and if they do not come to your place, please contact our support team via www.filterforge.com/contact As for some restriction lines in the Readme file, again, we HAVE free tech support and FF CAN be used commercially. Again, thank you all for the interest in Filter Forge, we're so glad to see all you in our community! I, too, have heard nothing but praise for this program and plugin over the years, so I'm absolutely thrilled to have a copy. Thanks very much Filter Forge and GOTD. Just had a go at downloading the extra filters from the site, and everything proceeded efficiently at the click of a button with a view screen showing exactly where the filter could be found in future. So many. I, too, have heard nothing but praise for this program and plugin over the years, so I'm absolutely thrilled to have a copy. Thanks very much Filter Forge and GOTD. Just had a go at downloading the extra filters from the site, and everything proceeded efficiently at the click of a button with a view screen showing exactly where the filter could be found in future. So many. Wendy, thank you for the feedback! This message for support rep JANE . I know you have mentioned several times that the keys will be sent but....what happens if not, do we have a 2nd step to take, do we contact customer support, etc? This message for support rep JANE . I know you have mentioned several times that the keys will be sent but....what happens if not, do we have a 2nd step to take, do we contact customer support, etc? Can you advise ? Thanks. soft user, if the key arrives later than the GOTD promotion ends, you'll still have the key and the program. The problem is on our side so we should act like this. All the people who requested the keys during April 6 will have the program and the key. As with many people I am still waiting for a key 23 hours, give or take 6 minutes, after having downloaded and installed the trail. I have never had this problem before with any of the GOTD applications. People I know have also had this problem, certain have received keys which do not work. Impossible to insert and activate the full programme. They are disinstalling. Which is what I am going to do. It seems that there are some people who have put up "good comments" about the product. But me for one will not. Not good publicity for Filter Forge. Paul Kennett, you can contact our support team if you have any problems with installing or registering Filter Forge. As for the "good comments", sure they were the fellows from our Masonic Lodge. Jane, desinstalled. Still have not received a key. Lyle, nice to hear that everything's fine at last. :) They say that in any odd situation go to sleep. So it worked perfectly now. i have downloaded and installed the program. Signed up twice for the key but it has not arrived. so if it doesn't arrive before the todays giveaway expires does that mean that program is not going to accept the registration key that arrives from you in hours - I have been waiting for over 6 hours and yes I checked the spam folder again and again. I really wanted this program - it looks like a great addition to my collection of picture fixing programs. kim smith, we have hundreds of requests now. All of them are queued and are waiting to be automatically sent, but it can take some time. The key will find a way to you, please, be patient. If the key arrives later than the GOTD promotion ends, you'll still have the key and the program. The problem is on our side so we should act like this. All the people who requested the keys during April 6 will have the program and the key. kim smith, we have hundreds of requests now. All of them are queued and are waiting to be automatically sent, but it can take some time. The key will find a way to you, please, be patient. If the key arrives later than the GOTD promotion ends, you'll still have the key and the program. The problem is on our side so we should act like this. All the people who requested the keys during April 6 will have the program and the key. To GOTD and Filter Forge - you have made for One. Happy. Hamster(girl) - thankyouthankyouthankyou for offering this awesome program on GOTD, it's made my day! hamstergirl4444, thank you for the feedback! 2. Go to Main Menu > Tools > Options > Online tab. 3. Select the "Use the built-in library browser (obsolete)" option. Then when you click on "Download More Filters" (on top right hand corner) on the Main Menu, it will take you to a new page with various filters. Select and click on the ones you want and it will add to Download button at the bottom. Enjoy! For anyone looking for more filters to download - 1. Run Filter Forge. 2. Go to Main Menu > Tools > Options > Online tab. 3. Select the "Use the built-in library browser (obsolete)" option. Then when you click on "Download More Filters" (on top right hand corner) on the Main Menu, it will take you to a new page with various filters. Select and click on the ones you want and it will add to Download button at the bottom. Enjoy! CathL, thank you for helping us with tech support! I, too, have been waiting several hours for the registration e-mail. Has anyone figured out what's going on? Corky McGraw, we have hundreds of requests now. All of them are queued and are waiting to be automatically sent, but it can take some time. The key will find a way to you, please, be patient. Corky McGraw, we have hundreds of requests now. All of them are queued and are waiting to be automatically sent, but it can take some time. The key will find a way to you, please, be patient. If the key arrives later than the GOTD promotion ends, you'll still have the key and the program. The problem is on our side so we should act like this. All the people who requested the keys during April 6 will have the program and the key. Expand the scope of the program so that it works as a plug in in more programs, such as Gimp, Zoner, etc. 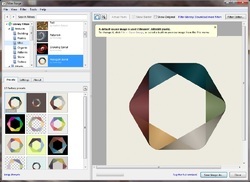 Enable import of native formats for the standalone program from Photoshop, Gimp, etc. Enable import of vector based images, such as SVG, which might require having the import routine ask what size image to create, thereby making a raster image. Great program! I've put in feedback twice over the past several hours, not had it show up at all. Here it is again: Expand the scope of the program so that it works as a plug in in more programs, such as Gimp, Zoner, etc. 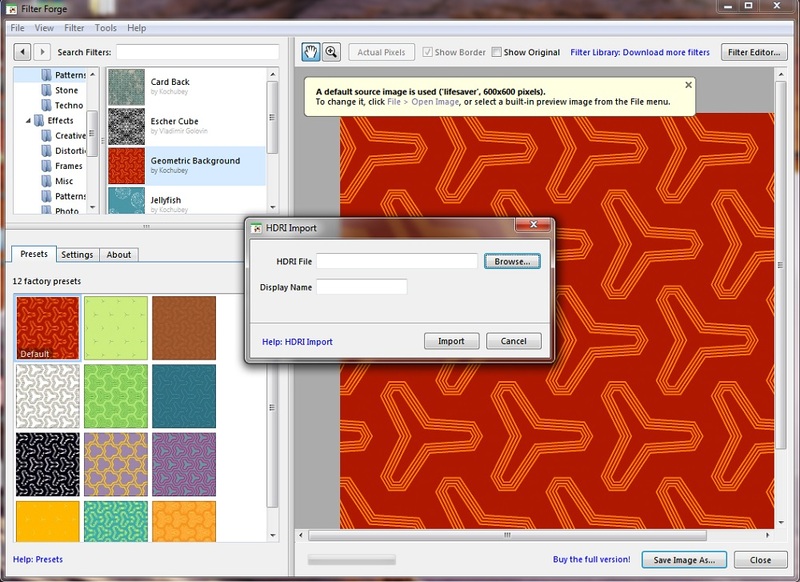 Enable import of native formats for the standalone program from Photoshop, Gimp, etc. Enable import of vector based images, such as SVG, which might require having the import routine ask what size image to create, thereby making a raster image. JK, thank you for the feedback! I looked at their site's gallery - seems to be nice software. Cannot stay up any longer waiting for the registration code, so I'm hoping when I receive it I can use it on the trial version. Paulette, we have hundreds of requests now. All of them are queued and are waiting to be automatically sent, but it can take some time. The key will find a way to you, please, be patient. Paulette, we have hundreds of requests now. All of them are queued and are waiting to be automatically sent, but it can take some time. The key will find a way to you, please, be patient. If the key arrives later than the GOTD promotion ends, you'll still have the key and the program. The problem is on our side so we should act like this. All the people who requested the keys during April 6 will have the program and the key. Going on 5 hours waiting for the registration code. Looks like I'll time out before I get the code. Would have been a great program. Mark, has the key already arrived? Roberta , has the key already arrived? What happens if our registration information doesn't come before the cut off time? Can we still register? Zanne, if the key arrives later than the GOTD promotion ends, you'll still have the key and the program. The problem is on our side so we should act like this. All the people who requested the keys during April 6 will have the program and the key. Thank you... my key came yesterday! Jane, Thank you... my key came yesterday! I'm happy. Going on five hours and still no registration code (Gmail). Any ideas how to speed up the process? Should I try again? Lara, please, do NOT try again if you're sure that spelled your email address right. We have hundreds of requests now. All of them are queued and are waiting to be automatically sent, but it can take some time. The key will find a way to you, please, be patient. Lara, please, do NOT try again if you're sure that spelled your email address right. We have hundreds of requests now. All of them are queued and are waiting to be automatically sent, but it can take some time. The key will find a way to you, please, be patient. If the key arrives later than the GOTD promotion ends, you'll still have the key and the program. The problem is on our side so we should act like this. All the people who requested the keys during April 6 will have the program and the key. Installed and registered after some wait for the registration code on Win 7. Trying it out and loving it. Installed and registered after some wait for the registration code on Win 7. Trying it out and loving it. CathL, thank you for the feedback! Lots of filters seem available I can't seem to find them in today's download, cartoon filters look interesting but where are they? Their website seems to show a lot of filters that I don't have an nor can I find how to download them. Not tested this idea but it looks usable, do hope it works, love these filters. Lots of filters seem available I can't seem to find them in today's download, cartoon filters look interesting but where are they? Their website seems to show a lot of filters that I don't have an nor can I find how to download them. For anyone in a similar situation this link to a YouTube video may be of some assistance:- https://www.youtube.com/watch?v=6ToH-xhp43Q Not tested this idea but it looks usable, do hope it works, love these filters. Delighted to say that this method worked perfectly, that is using the obsolete selection. Was able to download cartoon filters etc. A number of filters stated that I have to upgrade to download or use them but that still leaves lots of great ones. So I must thank Charles Mitchell who created this video. Icing on the cake to an excellent download. Delighted to say that this method worked perfectly, that is using the obsolete selection. Was able to download cartoon filters etc. A number of filters stated that I have to upgrade to download or use them but that still leaves lots of great ones. So I must thank Charles Mitchell who created this video. Icing on the cake to an excellent download. Tried it, liked it, don't like the long wait to register but will wait as it is a pretty good program from my early testing. Activation process could have been done in a read me like most others. Other information requested was not really needed to try this program. Tried it, liked it, don't like the long wait to register but will wait as it is a pretty good program from my early testing. Activation process could have been done in a read me like most others. Other information requested was not really needed to try this program. ilikefree, thank you for the feedback! Every time I try to install the program, it does nothing. I get the successfully activated window then it opens this page in my browser. No program to install. Yes. I clicked on setup.exe. (this is not my first program here) I even tried installing it through software informer and still can't get it to work. Any ideas? I already have my regisitration code through email but no program installed. Vella, you can contact our support team for help. TK, no idea if anyone saw that message I posted but yup that URL I posted was activatiable with the free pro license! Grange, thank you for this feedback! Completed the application form and clicked 'Send'. That was over 2 hours ago and still no email with license key. This is a major giveaway that would be very useful indeed to me, I'd hate to lose out if the email arrives after time is up, is there any way to speed things up - or do I re-send my details? Downloaded and installed with no problems. Completed the application form and clicked 'Send'. That was over 2 hours ago and still no email with license key. This is a major giveaway that would be very useful indeed to me, I'd hate to lose out if the email arrives after time is up, is there any way to speed things up - or do I re-send my details? Leo Moore, we have hundreds of requests now. All of them are queued and are waiting to be automatically sent, but it can take some time. The key will find a way to you, please, be patient. Leo Moore, we have hundreds of requests now. All of them are queued and are waiting to be automatically sent, but it can take some time. The key will find a way to you, please, be patient. If the key arrives later than the GOTD promotion ends, you'll still have the key and the program. The problem is on our side so we should act like this. All the people who requested the keys during April 6 will have the program and the key. Daniela, thank you for the kind words! It looks like they are not on top of this for getting out registrations -- I see many people are still waiting, as am I. It looks like a great piece of software -- it would be a shame if we all didn't get the activation in time, to convert it from the trial version to the Giveaway Pro version. If I don't get the activation in time, I'll just uninstall it -- I don't think I'm going to use the trial version. It looks like they are not on top of this for getting out registrations -- I see many people are still waiting, as am I. It looks like a great piece of software -- it would be a shame if we all didn't get the activation in time, to convert it from the trial version to the Giveaway Pro version. If I don't get the activation in time, I'll just uninstall it -- I don't think I'm going to use the trial version. I finally got my reg key about 3 hours later. All is good. I think if you download and **install** FilterForge before the deadline (cuz that's when it does the checking with GOTD), you can run the trial version and input your key later (if its late), after the deadline and it will still work. I think. I finally got my reg key about 3 hours later. All is good. I think if you download and **install** FilterForge before the deadline (cuz that's when it does the checking with GOTD), you can run the trial version and input your key later (if its late), after the deadline and it will still work. I think. Frank, yes, you're totally right. Still waiting for the code, what happens if I receive it after the GAOD period expires ? John, we have hundreds of requests now. All of them are queued and are waiting to be automatically sent, but it can take some time. The key will find a way to you, please, be patient. John, we have hundreds of requests now. All of them are queued and are waiting to be automatically sent, but it can take some time. The key will find a way to you, please, be patient. If the key arrives later than the GOTD promotion ends, you'll still have the key and the program. The problem is on our side so we should act like this. All the people who requested the keys during April 6 will have the program and the key. I don't see the point of acquiring software as powerful as this with the proviso that I can't use it commercially. I wonder how many people agree with that, and whether anyone could actually check anyway. Can we get an official Filter Forge comment about commercial use please? Barry, I think this condition was added to the Readme file by mistake. Just like the one about not having free tech support. As our boss says, Filter Forge was created to use it mainly commercially. noni, it is the GOTD wrapper. Just ignore it. I left a positive comment earlier, but had to stop back in to say WOW WOW WOW. This just gets better with each photo and new technique I throw at it. This is an AMAZING giveaway!! THANK YOU THANK YOU THANK YOU!! I'm SOLD. The program installed in Window 10 perfectly. HOWEVER, after several hours, and several attempts with both Chrome and FireFox, to get a registration code to to avail, I removed this program. Ron Smith, FINALLY got the registration information. Haven't had time to look into it deeply, but at least it is installed and registered. Ron Smith, I'm glad that you finally got everything! THANK YOU GOTD for this great awesome plug-in! Although I check here almost daily, I rarely download. Today, I downloaded & installed seamlessly. There WAS a slight delay in receiving the registration code, but it did arrive just fine, and it completed the licensing without fail. I'd give the ease of install a 4.5 out of 5. Next, I fired it up as a stand-alone, then I brought up Photoshop, and used this as a plug-in. WOW! I've never actually used a plug-in in Photoshop before, (I use CS6). I brought up a portrait, created a copy of the layer, and headed straight to the FilterForge Plug-in. I am SO impressed! This is an absolute keeper. I think it is fantastic that the developer gets a chance to have a potential customer try a real version, without the 30-day window that I never seem to make. I just never give anything a fair try when I know it's got a window on it. This is so much fun - I finally see the beauty of Photoshop plugins. The results were impressive - I wish I could post before & after pics in this post to share. NICE Giveaway!! Was shown to party "Filter Forge 4 Pro active - what next?" However, the program does not start, in CS6 in the "filters" Filter Forge4 listed but when you try to start the displayed "error, software error".where is free license code? On the page to activate filled out the form but did not receive anything on the mail box Was shown to party "Filter Forge 4 Pro active - what next?" However, the program does not start, in CS6 in the "filters" Filter Forge4 listed but when you try to start the displayed "error, software error".where is free license code? katharina, I think you need to contact our support team. They'll help you with installation. As for the license key, we have hundreds of requests now. All of them are queued and are waiting to be automatically sent, but it can take some time. The key will find a way to you, please, be patient. Ok, now again I have to tone down my girly excitement. ^_^ I've been wanting this software for quite some time as I'm 3d graphics enthusiast and programs like this are quite useful. Normally, people in my field have the luxury of Photoshop but I stuck it out with GIMP. I'm not complaining, GIMP is not a bad thing, but It's nice to see quality, STAND ALONE generators like Filter Forge that can compliment open source software too - getting it for free is even better. Thank you for that. Like others, I too would like to see the library go offline but this might be an unreasonable request due to the ability to create, obtain and share filters on a seconds notice. The tutorials are decent but I say just jump on in there and give it a try. You'll learn what you need through trial and error. That's what we did. Michelina, thank you for the feedback! Downloaded and installed the program, no problems. But when it came to registering it, nothing! I filled out the form twice and still nothing. I also checked my spam folder, nothing. I suspect I will be deleting the program soon. Too bad it looked like a good program to have. A little help please, the installer isn't working, it says that it's activated and whenever I try to install Filter Forge it just redirects me to the folder with the GOTD installer. Kyle Owen, please, contact our support team via contact form on the site. They will help you. The company can offer here whatever it wants. This has nothing to do with fairness. I have Filter Forge 5 and, can say without a doubt that it is a great program. It has an easy to understand Interface and is easy to use. 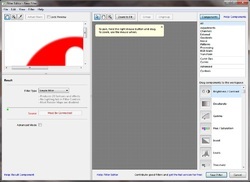 It can be used as a plugin for recent builds of PhotoShop, and Paint Shop Pro (to name a couple), or you can use it as a standalone application. The support is top notch, especially if you signup for their forum community, as many members are willing to provide tips, tricks, and tutorials. 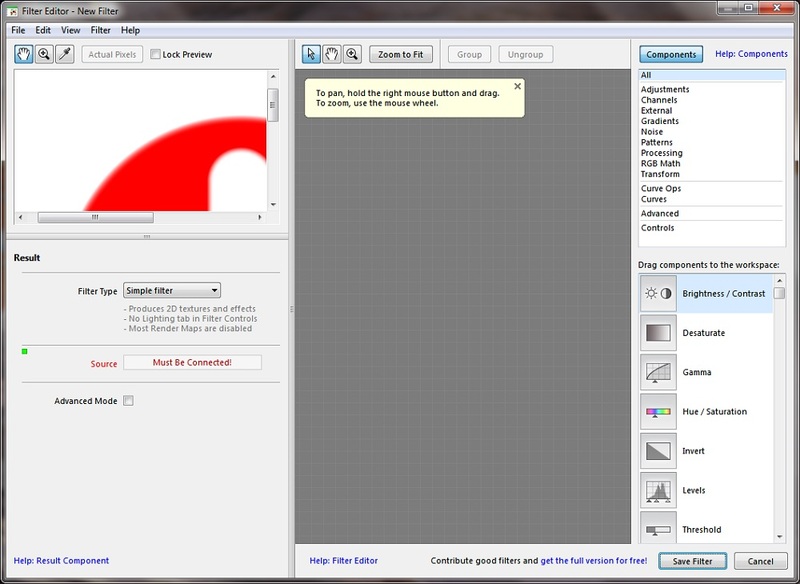 If you are a graphic artist, this software is a must have! I have Filter Forge 5 and, can say without a doubt that it is a great program. It has an easy to understand Interface and is easy to use. 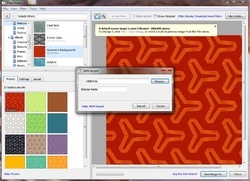 It can be used as a plugin for recent builds of PhotoShop, and Paint Shop Pro (to name a couple), or you can use it as a standalone application. The support is top notch, especially if you signup for their forum community, as many members are willing to provide tips, tricks, and tutorials. 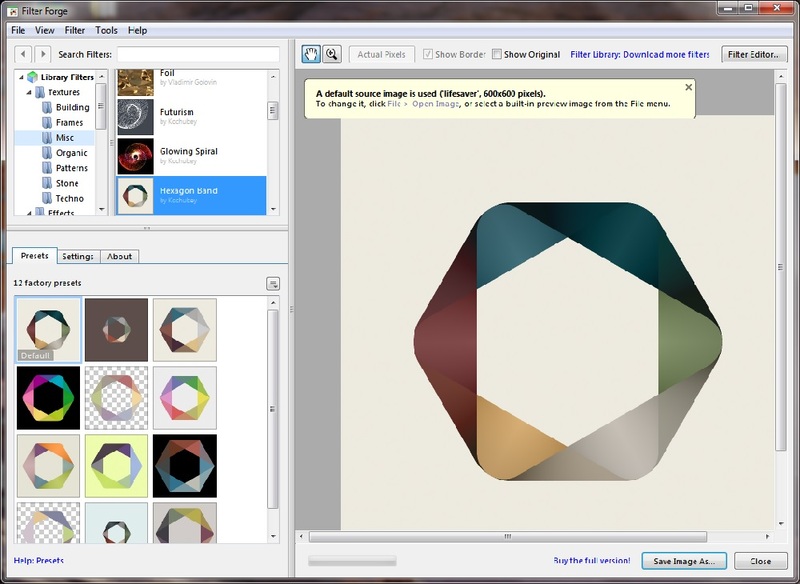 If you are a graphic artist, this software is a must have! L.Cleveland Major. L. Cleveland Major, thank you for the feedback! to install on my win 10 'puter? I unzip d/l to folder click setup.exe get popup saying program registered but nothing installs on my computer? P.S. got the key back from FF but no program to put it in? Hello..I can;t get https://www.giveawayoftheday.com/filter-forge-4015/# to install on my win 10 'puter? I unzip d/l to folder click setup.exe get popup saying program registered but nothing installs on my computer? P.S. got the key back from FF but no program to put it in? David Richer, if you cannot install Filter Forge, please welcome to our support team's page https://filterforge.com/contact/ Contact them and they will help you! Downloaded and installed without problem. Filled in the required information on the registration page and waited, and waited, and waited. No software registration number. I'm concerned about the private information that was required by the company in order to get a registration number. Deleted. George, we have hundreds of requests now. All of them are queued and are waiting to be automatically sent, but it can take some time. The key will find a way to you, please, be patient! Meanwhile you can check your Spam folder, the key can be there. As for working with specific graphic editors, I don't recall having a problem getting it to work as a plugin with any of the mainstream ones. I definitely had it working with Photoshop, PSP, Photodirector, and Zoner, but I may have had to manipulate some links to get that to work with Zoner. I just don't remember. It's been awhile, but it definitely is doable, at least with Win7 Ultimate. I have to echo the positive comments of other users. I used the Filter Forge free filters for quite some time, and then had the opportunity to try FF 3. It may have been through GOTD - I don't remember, but I paid for an upgrade to FF 4, and recently paid for an upgrade to FF 5. If you do photo editing with anything other than a simple one-step optimizer, I suggest you grab this one. Even if you only use it occasionally, it comes at no cost for you today, and you may find it becoming one of your favorite tools. (I am not affiliated with the company.) As for working with specific graphic editors, I don't recall having a problem getting it to work as a plugin with any of the mainstream ones. I definitely had it working with Photoshop, PSP, Photodirector, and Zoner, but I may have had to manipulate some links to get that to work with Zoner. I just don't remember. It's been awhile, but it definitely is doable, at least with Win7 Ultimate. Thank you, Jane! And also to other folks from Filter Forge who have been helping out today. This is an absolutely fantastic addition to anyone's graphic toolkit. I have been working with it since version 2. (For folks who worry about the price, FF is always running promotions with great discounts for the most current version. (A NEW copy of V5 is currently on sale for $79 which is 80% off the list price for the Professional version. Upgrades are even cheaper.) And how often does a vendor tell you the giveaway license is good for future re-installs, once you register, if needed? The program itself can be used on a very basic level, or it can take you into great depth. The library of filters is constantly growing. You can purchase a full copy of the entire library if you desire, or you can simply search for and download what you actually need at anytime for free. Each filter, depending on the kind of filter it is, has numerous adjustments that can be made. One caveat.... you need to pay attention to the fact that not all filters made using FF 5 can be used in FF 4. There are new features in V5 that require elements of V5 for the filter to work correctly. That said, however, there are currently a total of 11599 filters in the library - many of which will work fine with V4. If the info they request is too much for you, by all means pass this one by, but I would highly recommend - if the manipulation of Graphics is a major part of your creative life - picking up this giveaway copy of V4 Professional. Thanks to GOTD and Filter Forge for an excellent giveaway today! Thank you, Jane! And also to other folks from Filter Forge who have been helping out today. This is an absolutely fantastic addition to anyone's graphic toolkit. I have been working with it since version 2. (For folks who worry about the price, FF is always running promotions with great discounts for the most current version. (A NEW copy of V5 is currently on sale for $79 which is 80% off the list price for the Professional version. Upgrades are even cheaper.) And how often does a vendor tell you the giveaway license is good for future re-installs, once you register, if needed? The program itself can be used on a very basic level, or it can take you into great depth. The library of filters is constantly growing. You can purchase a full copy of the entire library if you desire, or you can simply search for and download what you actually need at anytime for free. Each filter, depending on the kind of filter it is, has numerous adjustments that can be made. One caveat.... you need to pay attention to the fact that not all filters made using FF 5 can be used in FF 4. There are new features in V5 that require elements of V5 for the filter to work correctly. That said, however, there are currently a total of 11599 filters in the library - many of which will work fine with V4. If the info they request is too much for you, by all means pass this one by, but I would highly recommend - if the manipulation of Graphics is a major part of your creative life - picking up this giveaway copy of V4 Professional. (Shoot, even if manipulation of Graphic elements is simply a fun hobby, get this one.) Thanks to GOTD and Filter Forge for an excellent giveaway today! Louis Hazard, thank you for the detailed and useful feedback! I think you clarifyed many important things for the GOTD users. waiting for email reg right now. I have FF 5 and use it quite often, I find it to be incredibly useful and powerful. This app gives you access to the creative juices of thousands of very talented users. If you are at all interested in graphics and photo manipulation you need to be part of this unique creation. Don McLean, thank you for the feedback! adif, the beauty of FF is that the learning curve never stops. Because it's so modular you keep learning new tricks and thinking "Crap, why didn't I think of that before?" 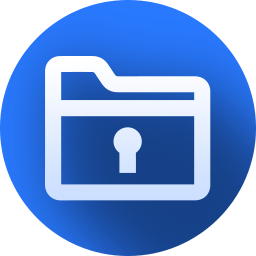 Most are not filters, but image generators. Am* R***, now I really do not know how to answer. Really, it is not true. Am* R***, some of the filters do generate images, this is true, but with lots of customisation. These are the textures and are immensely useful. If the frames obliterate your image, then you might need to check a box for transparency or something like that. The frame filters are just that. Frames. They don't blank out any images. I have been a Filter Forge user for about four years now, I use it on an almost daily basis, I am not affiliated with GotD or Filter Forge, but I will stand with them on this. Filter Forge is probably THE most useful tool for Photoshop, and can be used as a standalone program to generate textures. Am* R***, some of the filters do generate images, this is true, but with lots of customisation. These are the textures and are immensely useful. If the frames obliterate your image, then you might need to check a box for transparency or something like that. The frame filters are just that. Frames. They don't blank out any images. I have been a Filter Forge user for about four years now, I use it on an almost daily basis, I am not affiliated with GotD or Filter Forge, but I will stand with them on this. Filter Forge is probably THE most useful tool for Photoshop, and can be used as a standalone program to generate textures. Am* R***, I checked. My images stay rectangular. But I saw in the library some frames (for instance a clock shaped one) where it was explicitely said that they would fit only square images. Maybe you tried one of those. Some interesting filters, sepia always a difficult one is with some tweaking the best I have seen, sadly it is not possible to get the beautiful depth of the darker areas of the real thing, but still this one is acceptable. Old Photo was another nice filter and the plug-ins worked well with an old version of Photoshop. The plug-ins are unusual in that they take you out of Photoshop and into today's download, when you click apply you go back into Photoshop. Attempted to use it in Zoner 17; it appeared as a plug-in, but failed to work. An interesting and useful set of filters that should be welcome in your image toolbox, if you can afford it. Some interesting filters, sepia always a difficult one is with some tweaking the best I have seen, sadly it is not possible to get the beautiful depth of the darker areas of the real thing, but still this one is acceptable. Old Photo was another nice filter and the plug-ins worked well with an old version of Photoshop. The plug-ins are unusual in that they take you out of Photoshop and into today's download, when you click apply you go back into Photoshop. Attempted to use it in Zoner 17; it appeared as a plug-in, but failed to work. An interesting and useful set of filters that should be welcome in your image toolbox, if you can afford it. Salvia, please note that you can always run Filter Forge as a standalone application. Zoner 17 is not an officially supported host. Still you can try to install Filter Forge into it. But in this case you will be running Filter Forge at your own risk and we cannot guarantee Filter Forge will operate correctly. As for the filters you have mentioned, note that every filter has a Settings tab, where you can personalize it in many ways. Salvia, please note that you can always run Filter Forge as a standalone application. Zoner 17 is not an officially supported host. Still you can try to install Filter Forge into it. But in this case you will be running Filter Forge at your own risk and we cannot guarantee Filter Forge will operate correctly. As for the filters you have mentioned, note that every filter has a Settings tab, where you can personalize it in many ways. Thank you so much for your comment: yes found the setting are most useful. I mentioned the Zoner 17 as it was given away recently on this site, the NiK worked as plug-ins very well and I was hoping this programs would do also. After pointing to them in effects, settings they appeared as plug-ins but would not run. Photoshop is very expensive for an amateur and if your program have worked with the cheaper program it would have been very helpful. Jane, Thank you so much for your comment: yes found the setting are most useful. I mentioned the Zoner 17 as it was given away recently on this site, the NiK worked as plug-ins very well and I was hoping this programs would do also. After pointing to them in effects, settings they appeared as plug-ins but would not run. Photoshop is very expensive for an amateur and if your program have worked with the cheaper program it would have been very helpful. When I click on download more filters it takes me to your site but I don't see any means to download the filters. For instance I look for old worn metal plate in my download but I could not find it; roughly how many filters do we receive in today's download, can we download more for free or do we need to pay for them. Just like to thank you for all the comments you have replied to and the help you have given. Jane, When I click on download more filters it takes me to your site but I don't see any means to download the filters. For instance I look for old worn metal plate in my download but I could not find it; roughly how many filters do we receive in today's download, can we download more for free or do we need to pay for them. Just like to thank you for all the comments you have replied to and the help you have given. Open Filter Forge on top where the tabs are click on "Tools-Options" then go to the online tab choose the built in library click OK then click the Download more filters. Go to a category do CTRL-A then Add to downloads. Then go to the Download (should have a number of the amount of filters you've selected) click the download button bottom right wait a few minutes and you'll have all of thoses that are available for version 4. Some you can't get as it's for version 5. Repeat the same for all of them you should end up with quite a collection. Salvia, Open Filter Forge on top where the tabs are click on "Tools-Options" then go to the online tab choose the built in library click OK then click the Download more filters. Go to a category do CTRL-A then Add to downloads. Then go to the Download (should have a number of the amount of filters you've selected) click the download button bottom right wait a few minutes and you'll have all of thoses that are available for version 4. Some you can't get as it's for version 5. Repeat the same for all of them you should end up with quite a collection. Voila! You have downloaded a filter! Salvia, Shawn was right but you can also use the online library here https://filterforge.com/filters/ You can see the search line on this page, so use it to search for "metal plate". You'll have these results: https://filterforge.com/filters/search.html?q=metal+plate&h=r Then you choose the filter you think you need, e.g. this one https://filterforge.com/filters/4791.html and click on the Open this filter in Filter Forge blue button (on the right side of the page.) Voila! You have downloaded a filter!